Jim Henson was an amazing man who created more than a hundred memorable characters over a thirty-year career. His puppets were groundbreaking, allowing puppeteers to control more of the puppet than ever before. From Kermit to Rizzo the Rat, everyone has a favorite muppet. 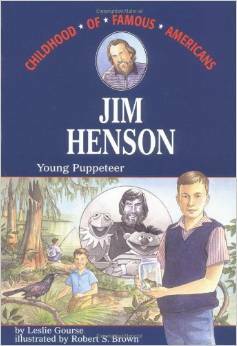 On September 24, 1936, Jim Henson was born in Greenville, Mississippi. He started puppetry in 1954 at WTOP, a local television station in Washington, D.C.
Jim Henson created the muppets in 1969 and, since then, they have become known worldwide. His muppets have starred in many television shows (Muppets Tonight, Muppet Babies), which have won many awards. He also created other T.V. shows such as, The Storyteller, Fraggle Rock, The Jim Henson Hour and The Dinosaurs. The muppets have also starred in five movies: The Muppet Movie, The Great Muppet Caper, The Muppets Take Manhattan, A Muppet Christmas Carol and Muppet Treasure Island. Other movies made by Henson are The Dark Crystal, Labyrinth and The Witches. Jim Henson's largest accomplishment was probably Sesame Street. This show taught children in 120 countries how to read, count, and share, and demonstrated that television can help children learn. It has been on the air since 1976 and is one of the longest airing shows in history. For all these reasons and more, Jim Henson is my hero. Unfortunately, Jim Henson died May 16, 1990. Jim Henson has educated millions of fans for over thirty years. He first started his career on a local TV show in Washington, D.C. The first show he did was "Sam and Friends." It aired in 1958. It was on twice a night. It started at 6:25 P.M. and was only on for five minutes. In 1969, he formed the core of the children's program, "Sesame Street." A little while after that, "The Muppet Show" aired in 1976 through 1981. "Sesame Street" has aired in more than a hundred countries around the world. It is still popular in many countries. Jim Henson was born on September 24, 1936. He grew up in Greenville, Mississippi. He attended college at the University of Maryland. His father, Paul, was an agricultural research biologist with the U.S. Department of Agriculture. Henson married Jane Nebel in 1959 when she joined him in puppetry. He died on May 16, 1990. "Sesame Workshop is a non-profit educational organization committed to maximizing the power of all media as an educational force in the lives of children. Its products include television, online, CD-ROMs, magazines, books, film, community outreach, and licensing. Best known as the creators of Sesame Street — now in its 31st season on PBS — the Workshop produces programming that has been enjoyed in 148 countries, including 20 co-productions reflecting local languages, customs, and educational needs. With Columbia TriStar Television Group, the Workshop recently launched Dragon Tales on PBS. Several of the Workshop's earlier award-winning programs, including The Electric Company, 3-2-1 Contact, and Square One TV, can now be found on Noggin, the new 24-hour-per-day kids' thinking channel, a joint venture between the Workshop and Nickelodeon." -from the Sesame Workshop mission statement, 2002. 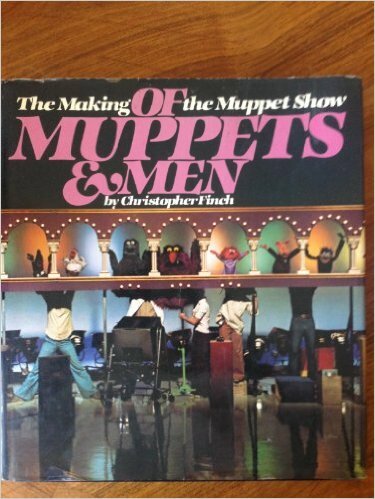 Of Muppets & Men: The Making of the Muppet Show. "My hero is Jim Henson. He was a great person who created wonderful characters the world has loved for over 30 years."